The Buddha barrier is a very versatile piece of kit, weighting in at only 5.5kg when empty. This makes them easy to position, so that when required you can simply fill with water up to the fill indicator level to take the total weight up to 27.2kg. The very clever, bottom heavy design means they have no protrudung feet and so are are completely anti-trip. When the barriers are not in use, they can stack securely for storage or transportation. The Budda Barriers measure 800mm in height and connect together using s-clips to create a safe environment for pedestrians. 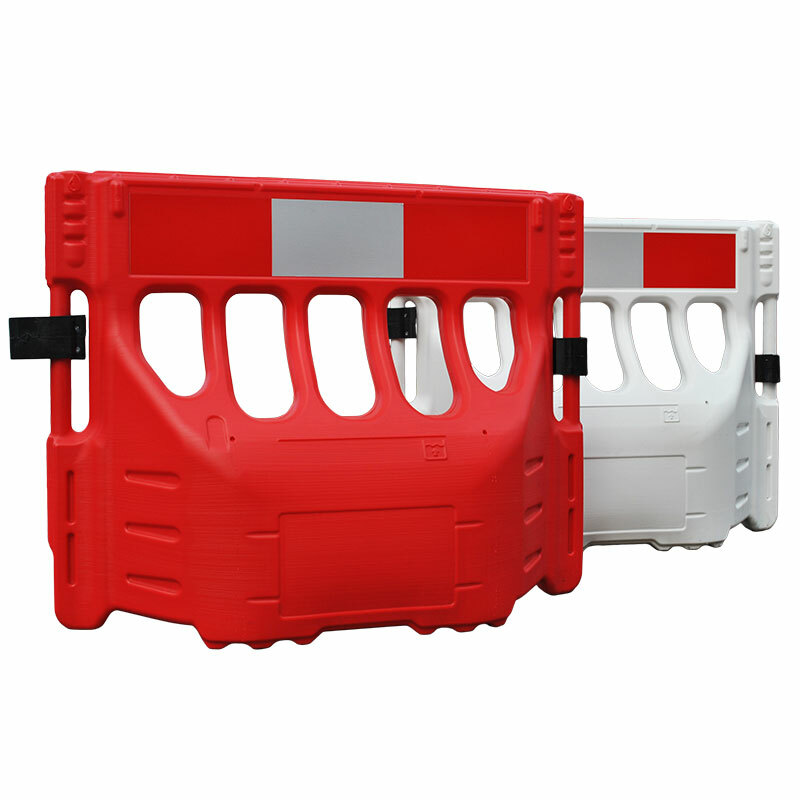 Compatible with the Double Top Barrier System which will create a taller barrier that measures a total of 1.8 meters in height. The Double Top Barriers are also available to purchase separately from ESE Direct.